A “simple growth story with some very good upside in a safe jurisdiction” might be selling PolarX’s Alaska Range multi-metal project short, but the company’s managing director Frazer Tabeart says the modest message is getting excellent traction with investors amid positive New Year market vibes. 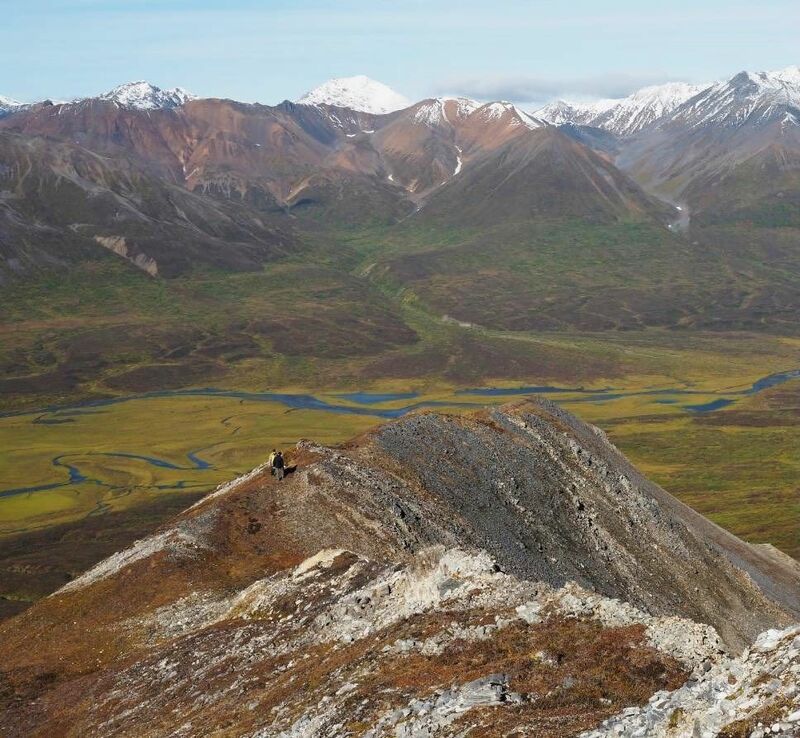 And the company’s successful 2018 Alaska field season has ratcheted up interest from other parties, too. Tabeart, the former senior WMC executive who's headed PolarX for the past 18 months, is confident investors will get a higher definition view of the upside at Alaska Range in the coming months as the company adds high-value data to its exploration and resource models, and finalises preparations for new drilling programs. He has met with investors in London and Zurich and was on his way to Canada when RESOURCEStocks caught up with him. While he's been busy highlighting elements of the unique value case the company is building in one of the world's hottest current mining investment jurisdictions, PolarX's technical team have barely taken a breather after last year's productive exploration campaign. "We're working on a few key areas at present," Tabeart says. "Firstly, we are interrogating the recently acquired high-resolution magnetic data and getting that into our 3D models to help with drill targeting for further resource extensions at Zackly. That will be ongoing over the next few months, getting ready for the (circa) 3,000m drilling campaign we plan to start in May. "The focus will very much be on the thick, sub-horizontal near-surface intersections in the eastern part of the prospect as that is where the openpit potential lies. "We are also undertaking 3D inversion modelling of the magnetic data which will help with the Zackly drill targeting. "This will also to provide further insights into the Zackly SE and Mars porphyry targets. We expect to see the results from this in 4-6 weeks and will then integrate this 3D data into our models for further refinement of our drilling program." PolarX has finalised specifications for an induced polarisation (IP) survey targeting Zackly SE, and aimed at better understanding the location of disseminated sulphides associated with the intrusive centres identified in its recent hi-res magnetic survey. "This is a tremendously exciting target, and one we hope to drill later this year," Tabeart says. "We're aiming to run the IP survey as soon as the snow lifts and hoping to get data back in time to plan targets for drilling in July." PolarX wants to double the 6 million tonnes of resources outlined so far at Zackly (3.4Mt at 1.2% copper and 2gpt gold) and Caribou (2.8Mt at 3.1% copper), with a particular emphasis on accessible openpit material with good metallurgy that can underpin project feasibility work scheduled to get underway later this year. The company is talking to leading metallurgical consultants with a view to designing and completing a small testwork program over the next 10 weeks. While deeper drilling below the current Zackly resource envelope has confirmed continuation of good grades in skarn-hosted mineralisation in the immediate vicinity of past work, it is the series of results within 1km along a "structural corridor" extending east that have "got us really excited". "It's the new mineralisation we've drilled to the east which is the game changer due to its higher grade and much thicker, near-surface intersections which open up the possibility of low strip-ratio open-pittable resource tonnes," Tabeart says. "These intersections are also confirming a vector of thicker, higher-grade mineralisation and alteration as we move to the east-south-east - that is, towards the Zackly SE porphyry target, elevating that in our list of preferred targets. "We're seeing both good grades and in the case of the easternmost holes, very thick, near-surface sub-horizontal mineralisation. This is where we think this year's drilling program can unlock significant value and rapidly increase the resource tonnages. We don't need to drill many holes or deep holes to do this, so the bang for our [shareholders'] buck is very good." PolarX is also planning a 3,000m core program to test porphyry targets at Zackly SE and nearby Mars, which has produced similar strong magnetic and surface geochemical anomalism over a large area (at least 1,400m-by-800m). The goal there is also pretty simple: Make a world-class copper-gold porphyry discovery. "By the time we dill these targets we will have combined the magnetic and IP data in our 3D models and refined our drilling targets, so we have high expectations from these two programs," Tabeart says. "We will be targeting 3-5 holes into each prospect to give us the best chance of making such a discovery. "These holes will be planned to ensure that we can answer as many questions as possible regarding the magnetic and IP anomalism in the context of our geological models for porphyry style mineralisation." An image in a slide (below) in Tabeart's latest investor presentation showing the virgin, mountainous terrain at Zackly, with Mars further out to the west, highlights the vast scale of PolarX's search, and opportunity. The altered red rocks at surface at Mars are somewhat appropriate. Tabeart says the image does drive home the challenges of working in a remote and elevated location in central Alaska. But also the promise. "Mars does require helicopter support for drilling, but it's a reasonably accessible area with great geology, geochemistry and geophysical anomalies that have never been drilled," he says. "And compared with places like Grasberg in Irian Jaya or the many porphyry deposits in the high Andes of Chile and Peru, the terrain is actually pretty straightforward. "This serves to highlight different perceptions between, for example, Australians used to working and exploring flat deserts to Canadians and Americans who are very comfortable in the mountains of the Pacific Rim." 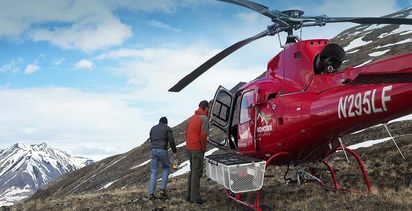 Meanwhile, back on the ground at Zackly, the high receptivity of near-surface magnetite skarn that has yielded strong, consistent gold and copper grades - and now even better grades to the east - to the hi-res aeromag surveys PolarX has been doing, is also further emphasising the potential scale of a future resource and mine. "We've been very impressed with the quality of the new magnetic data," Tabeart says. "It shows the folding of the Zackly skarns in the eastern area which elegantly explains why we are seeing this much thicker sub-horizontal mineralisation in that location. "It's also directly imaged the very high-grade magnetite rich portions of the skarn, and shown where this trends, providing further drill targets for evaluation later this year and giving us a high level of confidence that we can significantly upgrade the resource with further drilling. 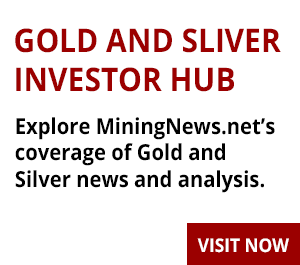 "We've also noted a number of intense magnetic anomalies that look very similar to this known high-grade mineralisation where there has been no previous drilling, so there is plenty of potential to discover new mineralised horizons in the Zackly area." 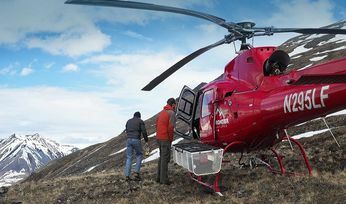 The multiplying near-surface development options and deeper resource potential indicated by 2018 drilling results and aeromagnetics at Alaska Range has also, not surprisingly, sparked increasing interest from cashed up international miners on the lookout for quality copper-gold assets. Tabeart says the level of "unsolicited interest" from big mining companies has surged. "So far we've provided access to our data to six companies under confidentiality agreements," he says. "Most of them are interested in the porphyry potential at Mars and Zackly SE; enough to warrant visits to Alaska in the case of three companies to date. "We prefer not to execute a project level joint venture at this early stage, but have discussed parent level equity investments and technical collaborations with these parties." The discussions are understood to be ongoing and might produce some news in the near future.